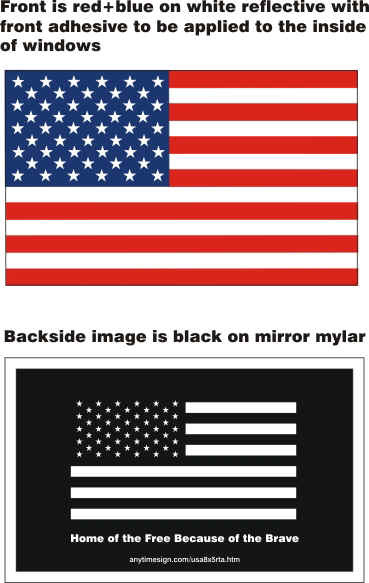 Our USA Reflective Flag decal with front adhesive is 8" x 5" with red and blue on the reflective face and black on mirror polyester on the back. Made of the finest materials, this decal is made to last at least 7 years outdoors. The reflective face is made with 3M 3200 Engineer Grade Scotchlite laminated with highest quality 3M adhesive. The dimensionally stable back is impervious to solvents and is emblazoned with the American flag and the motto, "Home of the Free Because of the Brave."